I thought Dr. Duong was funny and personable and nerdy in the best way. She discussed her involvement in the Women in Mathematics Symposia and the Women and Mathematics Program at Institute for Advanced Studies. I now want to look into these programs, considering I had never heard of them before today. I was glad that Yen said it was beneficial to attend math talks even if you don’t understand everything because expecting to not understand had kept me from attending math talks before, and I didn’t understand all the math in this one. However, like she said, it is possible that I may encounter similar problems in the future and one day better understand what she was talking about. She spoke warmly and enthusiastically about diversity. I appreciated her authenticity and open-mindedness. February 5. Davidson Math/Computer Science Coffee Series. March 8. UNC Chapel Hill Science Writing and Communication Club. Representation matters today and everyday. Seeing people who look like you can help you succeed in whatever field you're in. I've organized and attended conferences which cater to specific underserved audiences. 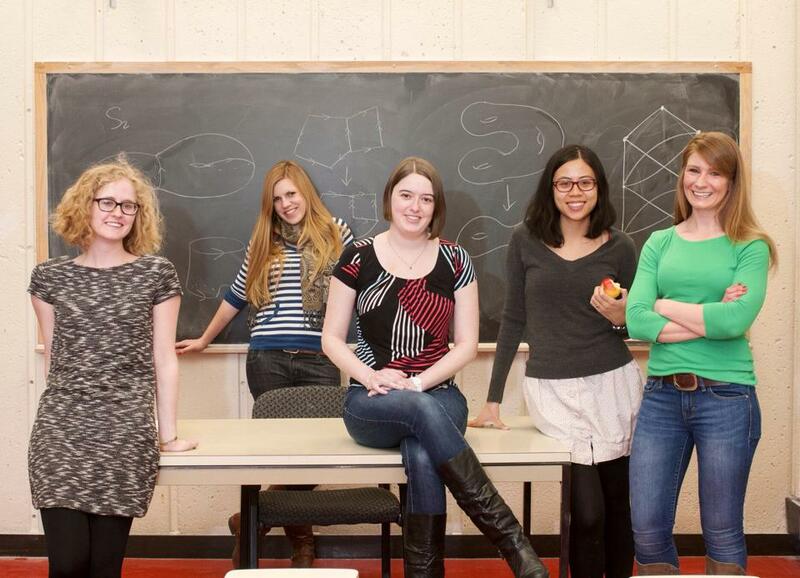 Ellie Dannenberg and I founded the annual Midwest Women in Mathematics Symposium in 2013 at UIC. In spring 2019, MWIMS will happen at University of Iowa. Michelle Chu, Hannah Turner, and I founded the annual Texas Women in Mathematics Symposium in 2016. In 2020 it will be held at Texas A&M University. In 2016 I was the Distinguished Graduate Speaker at the Underrepresented Students in Topology and Algebra Research Symposium . There should be Underrepresented Students in "every math field" Conferences. I've been to the Women in Mathematics program at the Institute for Advanced Study three times, as a participant, a TA, and an alumnae ambassador. It's a great opportunity for advanced undergraduates, graduate students, and postdocs to learn new things and expand networks. Graduate school is not easy. I spent time in three different departments on my way to a Ph.D. and organized and attended panels and events to help people make it through. The UCSB Hypatian seminar is special. It included panels from advanced grad students on how to do research/find an advisor/give a talk/teach, roundtable discussions, and cross-disciplinary speakers re: teaching, mental health, etc. UT Austin has an incredible Distinguished Women in Mathematics Lecture series which invites women professors for talks and lunch. UT Austin is also where Math Girl Margarita Night started, which I went to at UCSB. Hosting informal potluck brunches is a great way to support your community- we started that at UIC, inspired by a friend who did them at U Chicago. 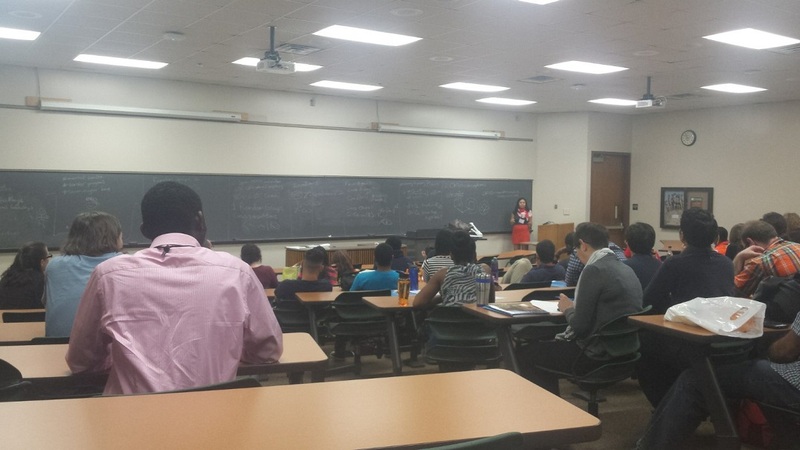 I've mentored a few undergraduates through the Direct Reading Program at UT. This is a high-impact, low-budget program that's been implemented at many, many schools but started at U Chicago in 2002. 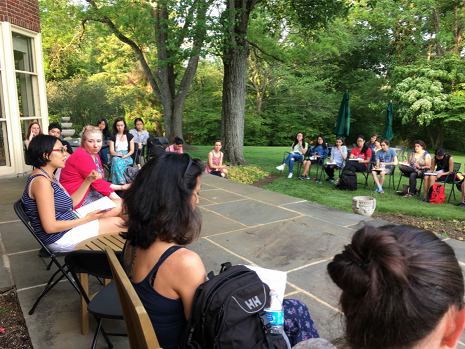 Leading an evening diversity discussion at Institute for Advanced Study Women And Mathematics program . 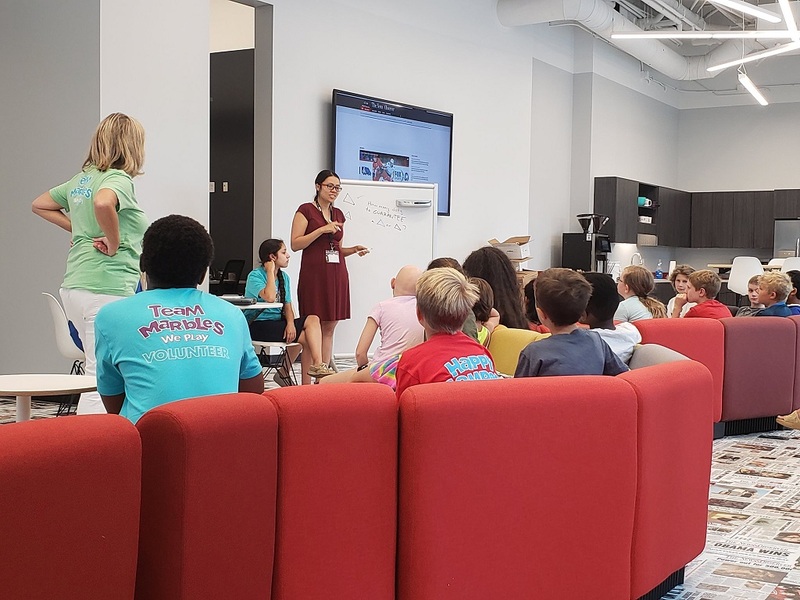 Me giving a talk to summer camp kids at the N&O, which tweeted the photo. Another photo from that UIC newsletter article. From left to right, Ellie Dannenberg , Janet Page , Jessica Dyer, me, and Cara Mullen .